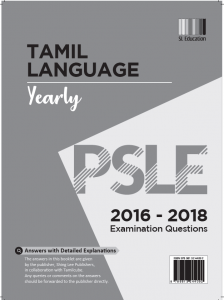 21 December 2018: Tamilcube has collaborated with Shing Lee Publishers to publish the latest PSLE Tamil past year papers (2016 – 2018) with detailed answers. Separate sets are available for Standard Tamil, Higher Tamil and Foundation Tamil. Will be available for purchase at MOE schools and through Tamilcube Shop soon!